We have been hoping for a course just like this for awhile. 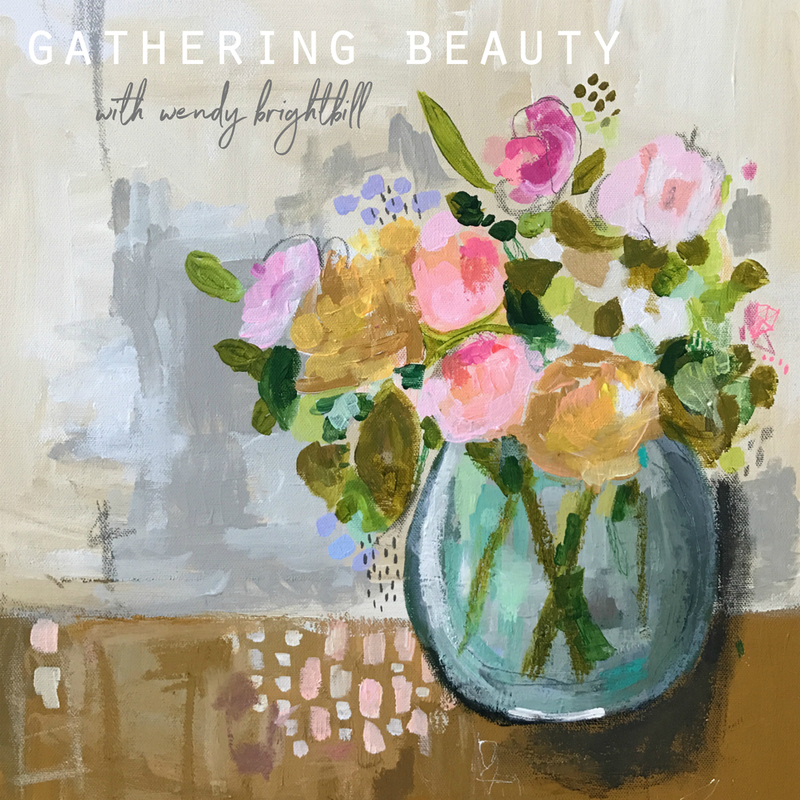 We are so lucky to have Wendy Brightibill sharing her gifts again with us and this time she is teaching Gathering Beauty | A Study in Still Life Painting. With Spring right around the corner, I am looking forward to the longer days and new life. I often feel a surge of creativity around this time of the year. 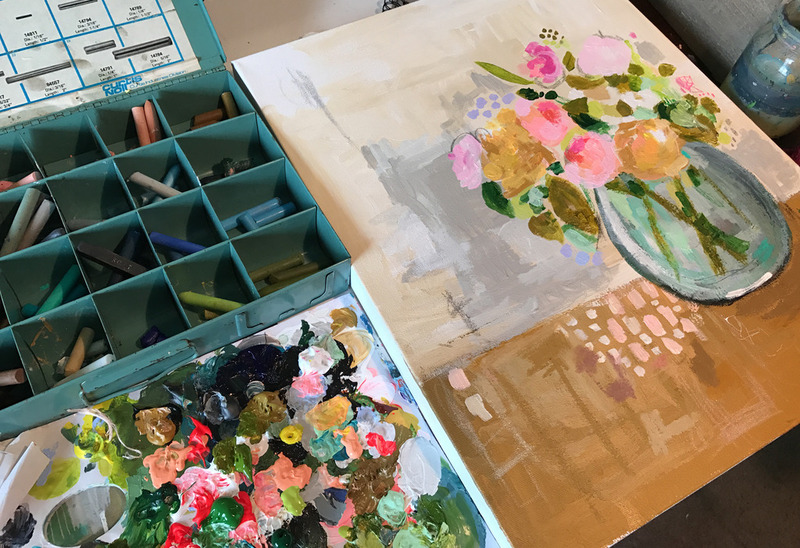 There is something about the warm sunshine and gentle breezes that calls me to pick up my paintbrush and paint with abandon. 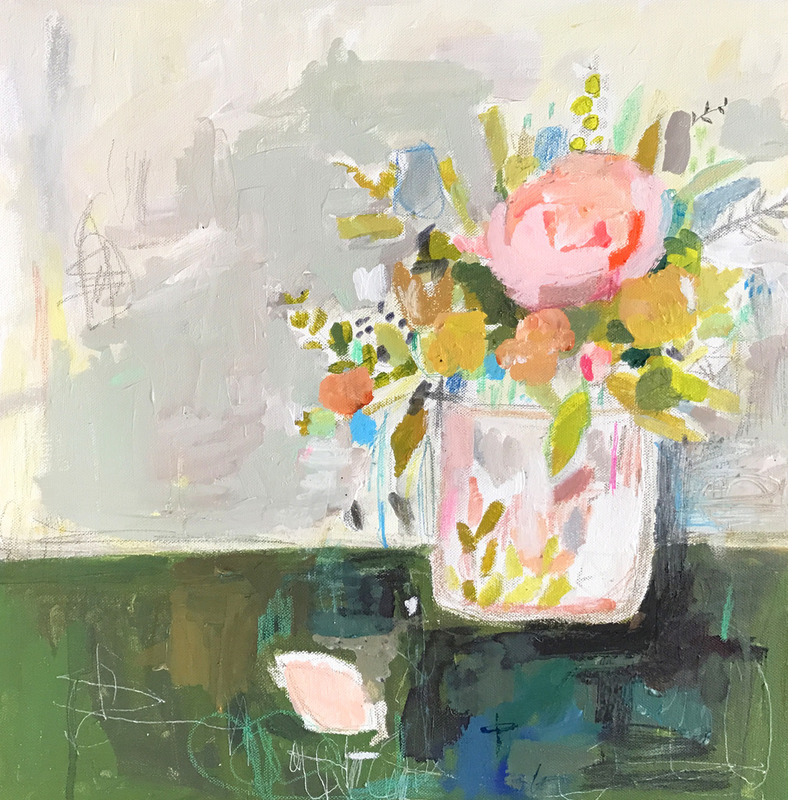 With the promise of new life and all things green, I find myself drawn to vibrant color and painting flowers in my artwork. I have this need to gather and document all the beauty around me. 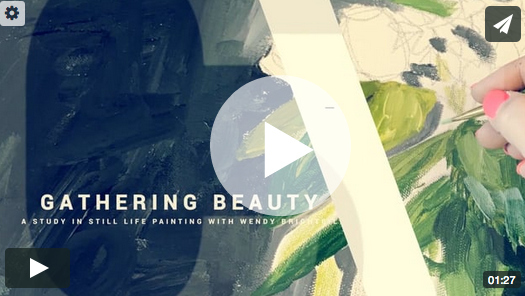 In this course, we will be looking for quiet moments of beauty to document and capture in our creative practice. 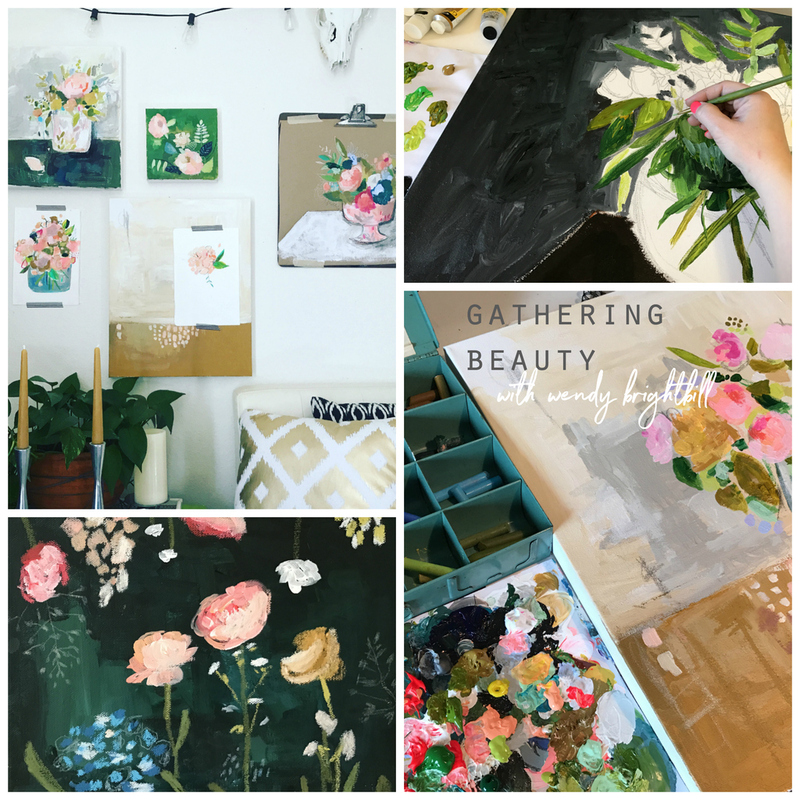 We will spend time gathering all things beautiful and letting that spill out onto our canvases and paper. I will show you some of my favorite tips for creating a beautiful and unique still life composition. We will explore still life sketching on paper and in art journals. 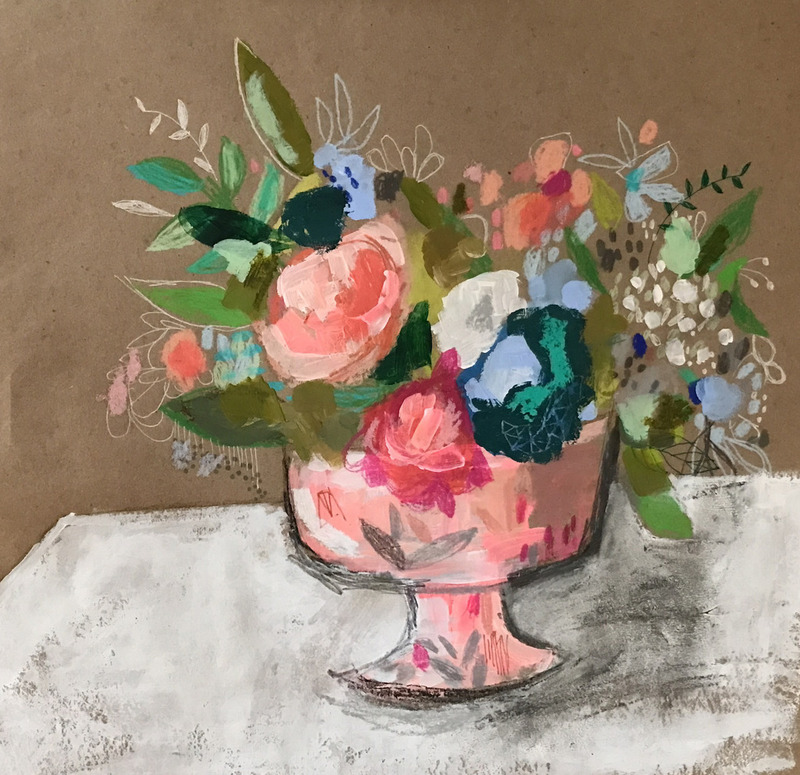 We will play with different mediums to create one of kind paintings and drawings. We will learn how to look with new eyes and really study every day moments. 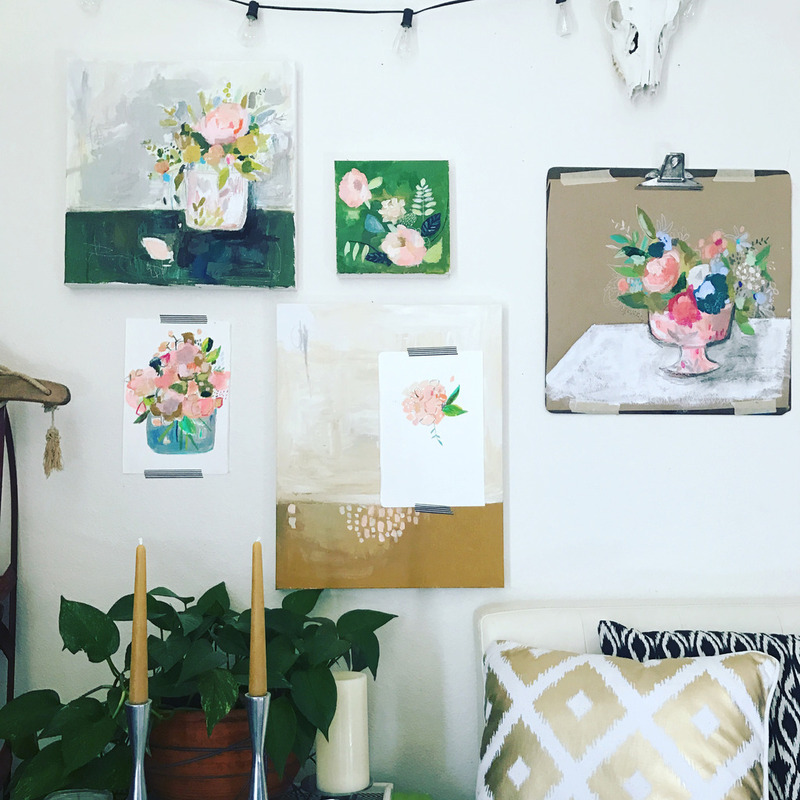 I will share with you all of my favorite techniques for painting floral still life pieces. We will focus on finding our own creative voice and how to express that on canvas. The registration price is $48 for this 4+ hour online course is with lifetime* access. The course will begin on April 24, 2017.